America's oldest manufacturer of fine writing instruments was established in 1839 by Richard Cross and Edward W. Bradbury. Cross is known for its writing instrument lines, beginning with mechanical pencils, and produced the first stylographic (a technological forerunner of the modern ball point pen) pens in 1879. 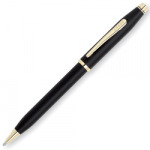 The current product line includes fountain pens, ballpoint pens, gel pens and mechanical pencils. 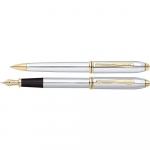 The first Cross fountain pens were likely produced in 1930, but not again until the 1980s. From the traditional fountain pen to the modern Tech pen range, the range has something to suit all. A selection from the Cross pens range is available in our Online Shop with a further selection in our stores in Crewe and Newcastle. 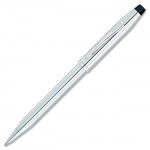 If you cant see the specific Cross pen please contact us and we will be happy to find it for you.